Deep in the Amazon rainforest a small tribe of uncontacted Indians is on the run, fleeing chainsaws and bulldozers as logging companies penetrate their forest home. They shun all contact with outsiders. They are fighting for their very survival. If urgent measures are not taken to protect them and their land from this invasion they will disappear forever. That this is genocide is indisputable. several neighbouring tribes who nickname them ’Baixinhos' (the tiny people) or ’Cabeças vermelhas' (the red heads). In 1998 FUNAI sent a team to the area, and over the ensuing years it has located several abandoned villages. Last year steel machetes and knives left out for the Indians by FUNAI were taken. Everything indicates that the Indians are constantly on the move. Their abandoned malocas (communal houses) are filled with essential utensils: arrows, baskets filled with nuts, and hammocks made from tree fibre. Footprints by streams have been spotted, where fruits and nuts have been left in baskets to soak and soften. There are no signs of any cultivation, indicating that the Indians only survive by hunting and gathering as they are constantly on the move. There are fears that under such constant pressure the women of the tribe will stop giving birth, and so further reduce their chances of survival. In May 2001 FUNAI secured a legal order prohibiting anyone from entering the area, known as the Rio Pardo Indigenous Area. This meant that an area of 166,000 hectares was set aside for the Indians, while FUNAI tried to establish their whereabouts and number. However, loggers, land grabbers and colonists are pouring into the area and pressure on the Indians' land is mounting. On several occasions a group of logging companies have managed to revoke the legal order protecting the territory. Seizing the opportunity, they have now built a road and trails into the Rio Pardo territory, and one company's property is entirely inside the reserve. Once the loggers have felled the forest, the land will be taken over by ranchers to convert into soya fields or pasture for cattle. The logging roads will facilitate the entry of colonists and land grabbers. In a race against time, FUNAI has decided it has no alternative but to contact the tribe as it is now exposed on all fronts to violence and diseases against which it has no immunity. However, in March the logging companies again managed to overturn FUNAI's protection order in a court. Now the Indians have no protection at all. Sydney Possuelo, head of FUNAI's uncontacted Indians department says, ’The Indians will be annihilated if we don't act now.' The Brazilian courts and government must uphold the constitution, which guarantees indigenous peoples their land rights, and map out and ratify the territory urgently. 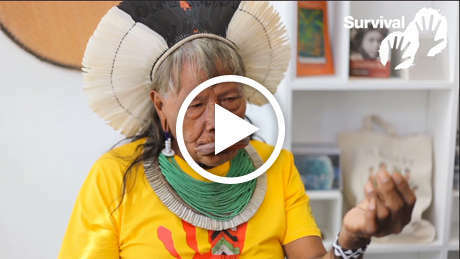 If the Brazilian authorities fail to protect the Rio Pardo Indians and stop the loggers, yet another Brazilian tribe will be consigned to history. The annihilation of a tribe, however small, is of course genocide. I am astonished and dismayed that a Brazilian court has revoked FUNAI's order 447/2001which protects the Rio Pardo Indigenous Area in Mato Grosso state. The uncontacted Indians who live there face the prospect of annihilation, as logging companies have now been given free rein to invade their land. We urge you to reinstate FUNAI's order and to do everything possible to protect the area. 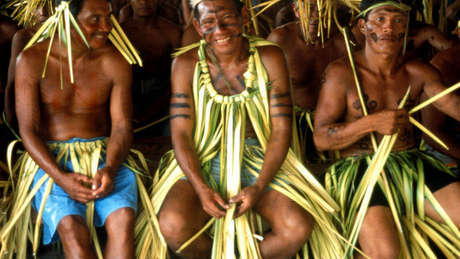 FUNAI's uncontacted Indians department itself believes that if the government and courts do not act immediately, the Indians will simply be wiped out, and yet another tribe in Brazil will be consigned to history.